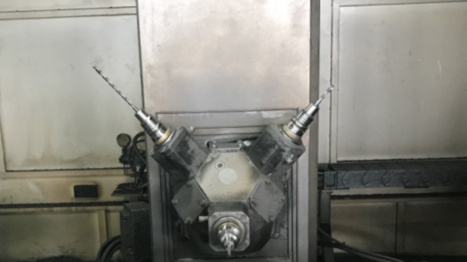 COFA C6X 8.0 S with blade C6X-M-0001-T: The COFA-X tool was designed for the deburring of cross bores with a bore diameter ratio of 1:1. The customer was able to replace the manual work by an automated process. The deburring result is now stable and shows an improved quality, too. The customer appreciates the simple and safe handling of the tool that functions without pre-adjustments. Interested in the COFA-X tool for cross hole deburring? Visit the COFA-X product page for more info.